Of all the things the Dutch do well, cheese is at the top of the list and perhaps no city is more famous for its cheese than Gouda. 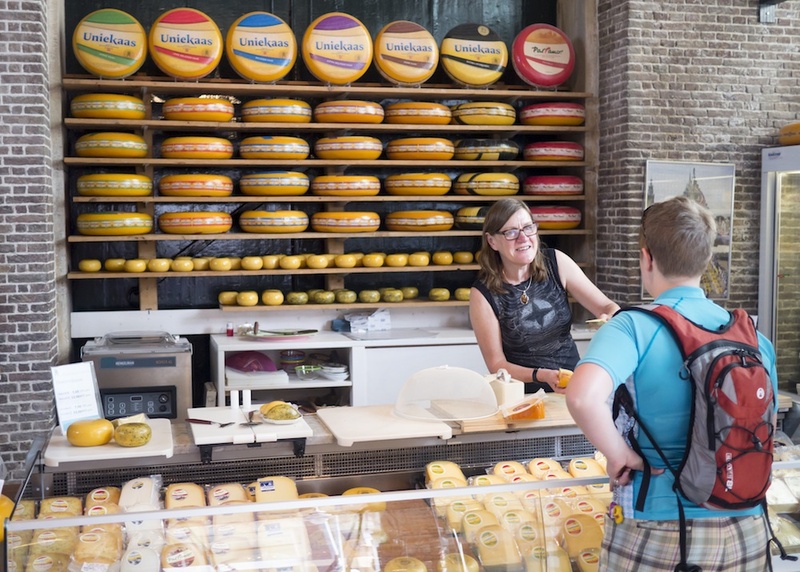 This summer, we found time to be tourists in our own backyard with a day-trip to Gouda’s cheese museum and weekly cheese market. 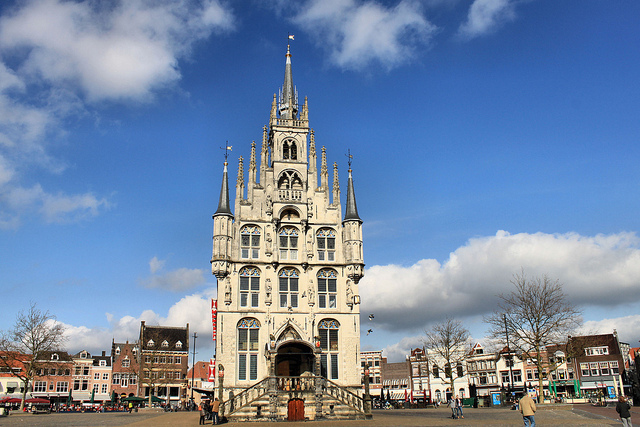 Both are located on the main square in Gouda. The museum is located in the Goudse Waag — the big building in the centre of the photo below — and is open every day from April through to the end of October. 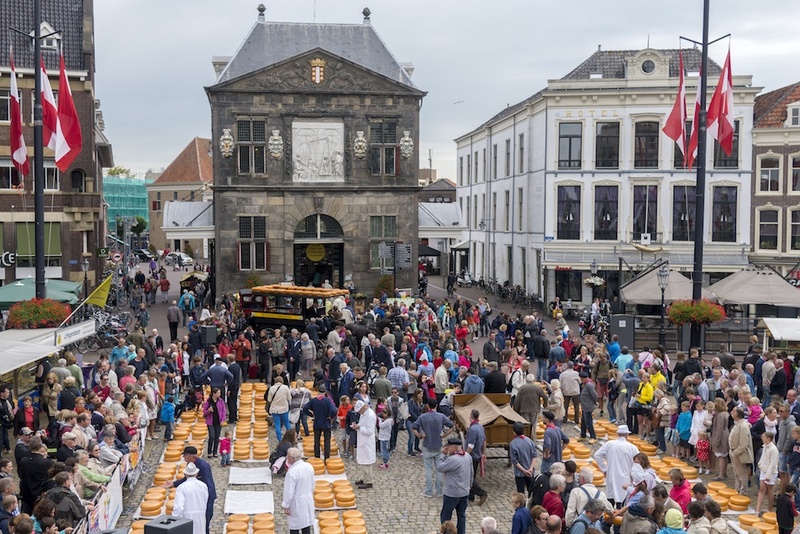 The cheese market takes place in front of the museum on Thursdays throughout the summer. 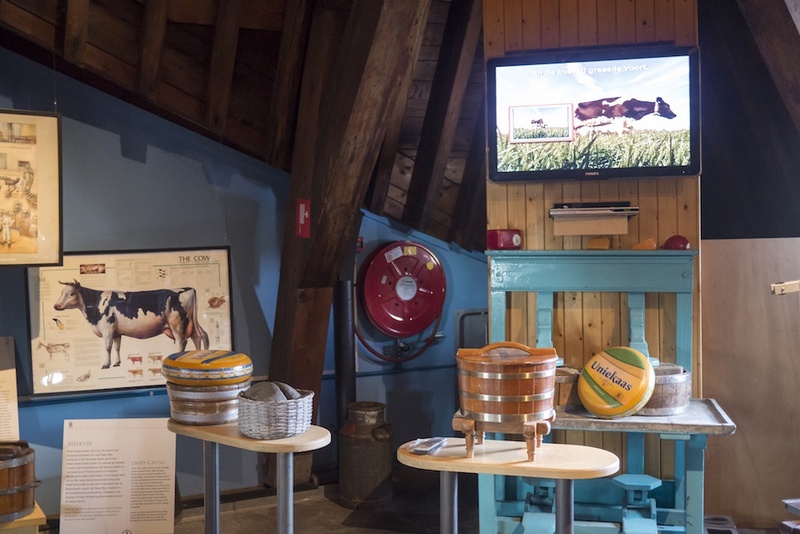 Inside the museum, you can learn all about the history of cheese making, watch a film, see how cheese was weighed and learn about other parts of Gouda’s history, such as the manufacture of tobacco pipes and candles. There’s usually an English-speaking guide on hand to tell you about the exhibits. It’s a small museum (you only need 20-30 minutes to see everything) but we really enjoyed it. Afterwards, you can buy Gouda cheese from the gift shop. I was skeptical about the quality of the cheese (I prefer to get mine from a fully-fledged cheese shop) but surprisingly the cheese sold here was quite good. There was a broad selection and the staff were friendly and let us sample several different cheeses. This is one of the few places where you can buy cheese on a Sunday in Gouda, as the other cheese shops in the downtown core are closed. 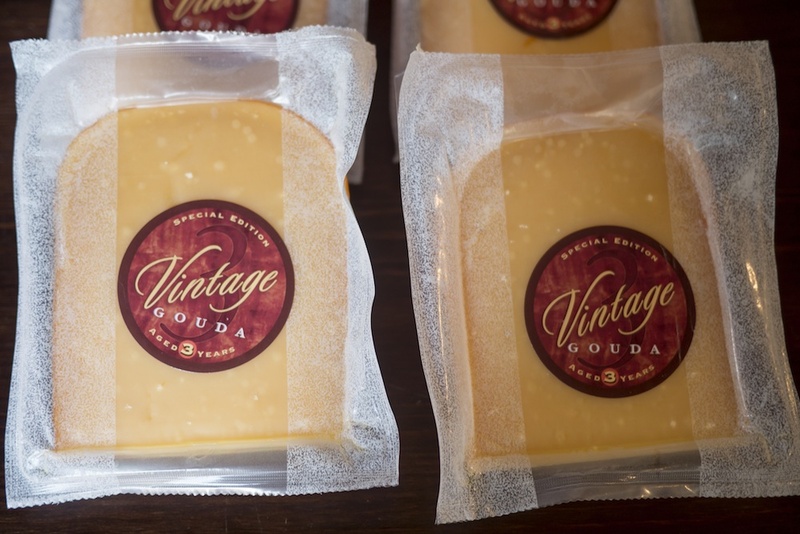 We ended up taking home some aged Gouda cheese: very sharp and salty, just how we like it! We were less impressed by the market. Yes, it’s one of the few cheese markets still running in the Netherlands but truth be told, there’s not much to see. You can have your picture taken beside the big rounds of cheese and watch some men bargaining over the price of the cheese, but that’s about it. The nicest part about turning up on a Thursday is not the cheese market but rather the general market which also takes place in the town square. You can buy fruit, vegetables, cheese and warm stroopwafels (syrup waffles)— another Gouda speciality. If you do go to Gouda on market day, the best view of the market is from the Gouda City Hall (stadhuis), which is a museum in itself. For the reasonable price of €2 you can peek inside this impressive, historic building and look down on the cheese market from the balconies at the back of the hall. Where to find it: Markt, Gouda. The city is an easy day trip by train from either Amsterdam or The Hague. The main square (Markt) is about a 10 minute walk from the train station.